The blend starts at Tabacalera Palma in Santiago, DR, with a core of fully-aged, Dominican-grown longfillers box-pressed inside a plush, 2003-vintage Indonesian Sumatra wrapper. 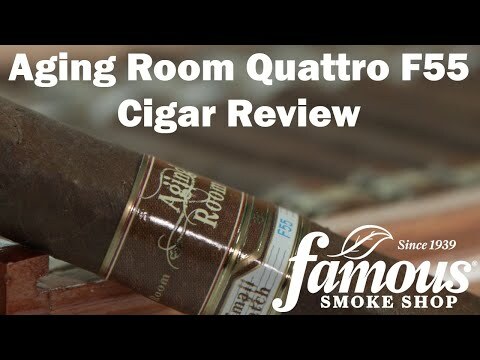 Made in small batches, Rafael Nodal was able to secure a very limited supply of the exquisite wrapper leaf from a German cigar maker's warehouse. With some help from master blender, Jochi Blanco, the result is a full-flavored cigar with perfect balance highlighted by notes of earth, sweet cedar, and roasted coffee. If you only smoke one Aging Room cigar, make it the Small Batch F55. We doubt you've ever tasted another cigar like it, so add some of these rare birds to your cart today.